Starling (Sturnus vulgaris). Summer plumage. Taken at Abingdon, Oxon., on March 4th 2018. Summer plumage. Taken at Abingdon, Oxon., on March 4th 2018. Starling (Sturnus vulgaris). Winter plumage. Taken at Abingdon, Oxon., on January 20th 2013. Winter plumage. Taken at Abingdon, Oxon., on January 20th 2013. Starling (Sturnus vulgaris). Juvenile. Taken at Abingdon, Oxon., on May 25th 2018. Juvenile. Taken at Abingdon, Oxon., on May 25th 2018. 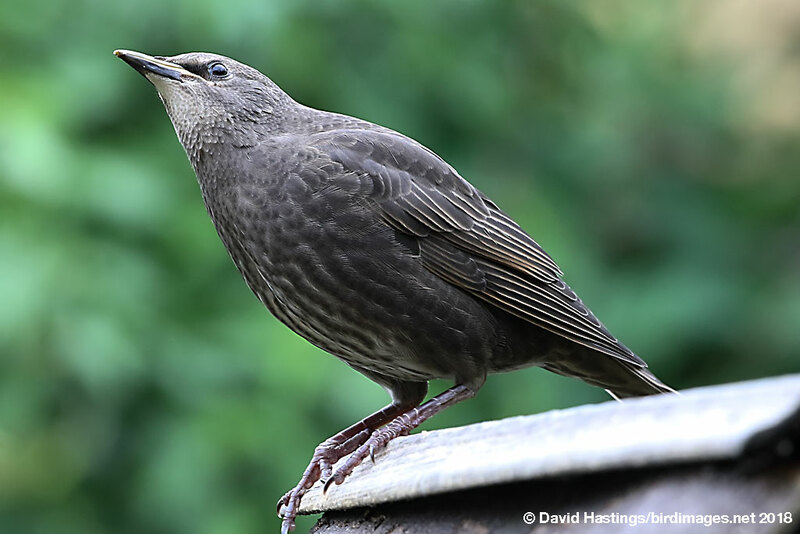 Starlings have short tails, pointed heads and triangular wings. From a distance they appear black, but when seen closer they are very glossy with a sheen of purples and greens. Thyey are found throughout the British Isles, but are only summer visitors in the north of Scotland. Large numbers of continental birds spend the winter in Britain. They are familiar breeders in farmland and suburban areas, and also in woodland. 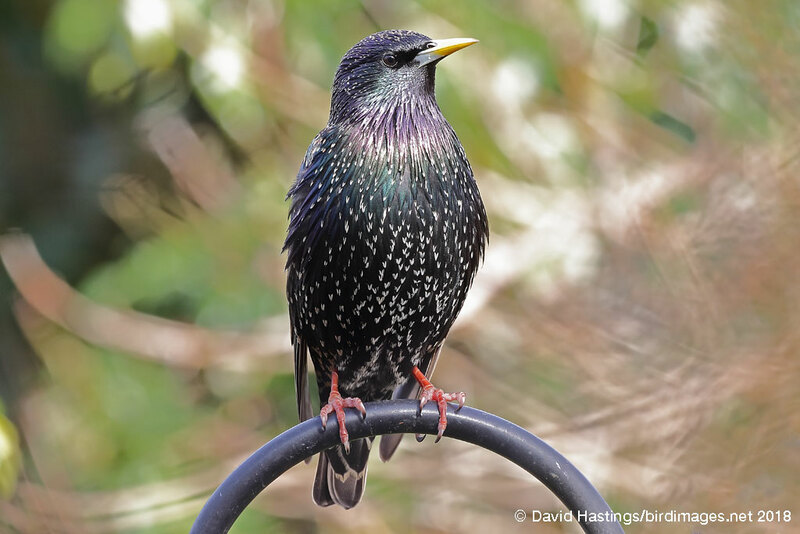 Starlings are noisy and gregarious, and spend much of the year in flocks. Huge pre-roosting flocks called murmurations can occur over reedbeds, plantations and city centres in winter. 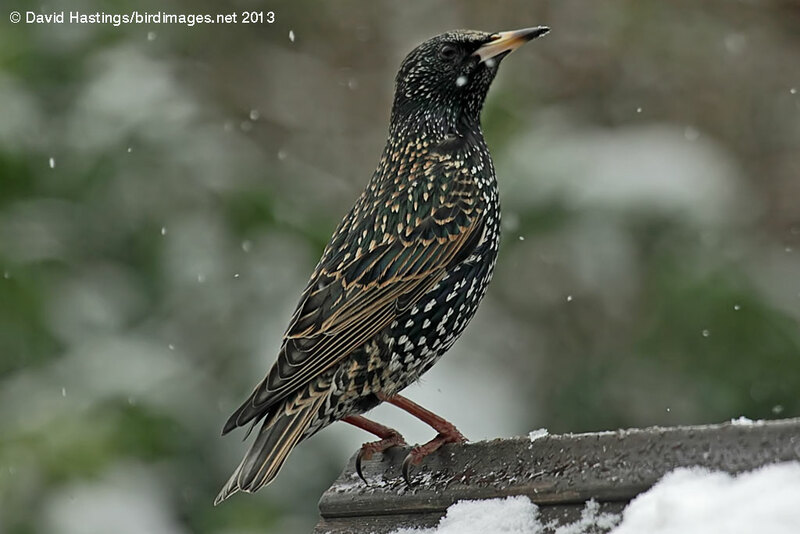 The Starling is a Red list species because of declines in farmland populations. There are about 800000 breeding territories in the UK.